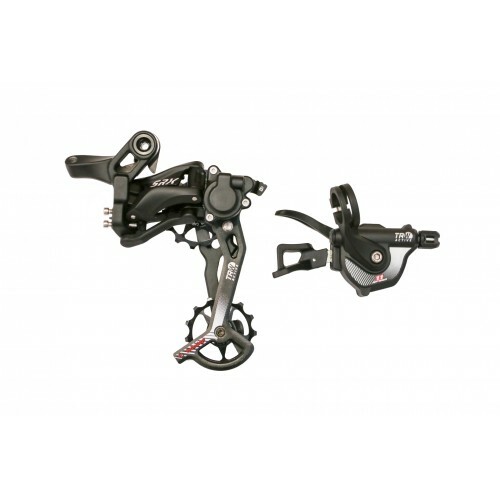 The TRW2 1x11 speed shifter and derailleur set includes a rear trigger shifter and rear wide range derailleur. 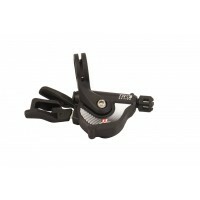 The shifter features an index trigger that can be shifted by either pushing or pulling. The thumb lever can move 5 gears in one push. 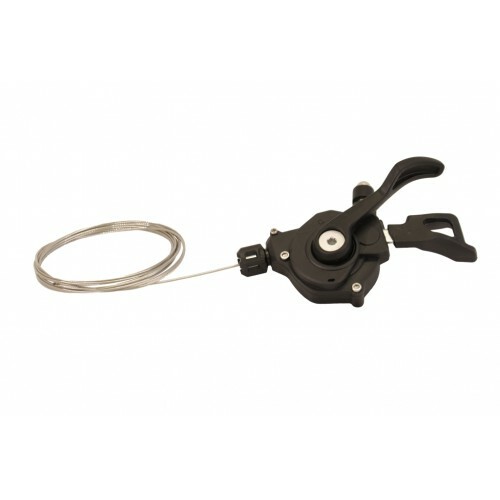 The levers ride on bearings for smooth operation and the casing is all alloy construction for durability. 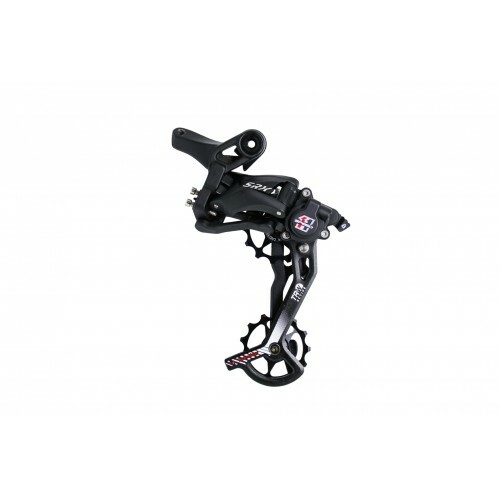 The rear derailleur uses forged alloy for the links and pivots, and features an adjustable clutch for chain tension under rough riding conditions. 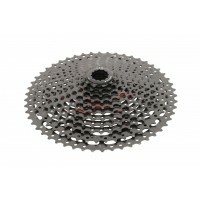 The wide range cage uses CNC cut alloy pulleys on cartridge bearings for smooth rolling and chain takeup. The derailleur also features a cage lock to make rear wheel removal much easier. 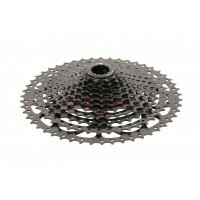 This set will upgrade your bike to 11 speed if you already have an 11 speed cassette. 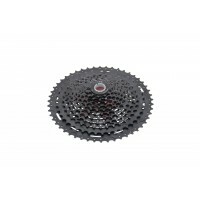 If not, consider purchasing one of our wide range 11 speed cassettes and 1x cranksets. 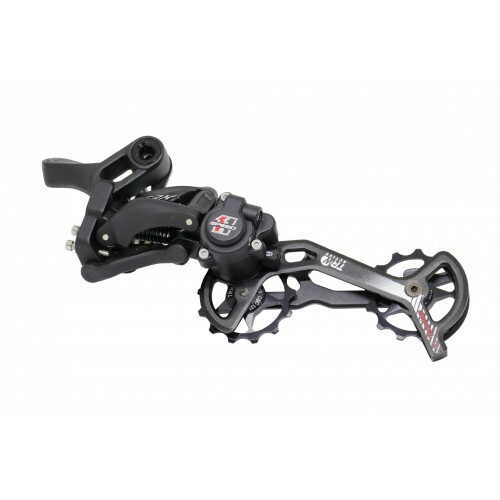 o Lightweight forged alloy for durability & strength. o 11 speed trigger shifter is reach and angle adjustable.